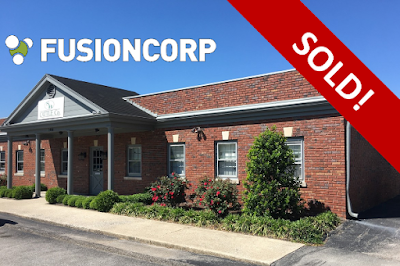 NAI Isaac is pleased to have worked with Fusioncorp Holdings LLC to purchase a new corporate office located at 1406 North Forbes Road in Lexington, Kentucky. Fusioncorp is a a design and development firm that provides a wide range of digital design, development and marketing services to clients of all sizes. For more information about Fusioncorp, visit their website. Bruce R. Isaac, SIOR, CCIM, Senior Vice President and Jim Kemper, Vice President represented Fusioncorp during this transaction. Clay Angelucci with Block + Lot Real Estate represented the Seller.